Host your wedding and reception ceremony at the lovely The Krishna Grand, Banshankari, Bangalore. It is located on the Rashtreeya Vidyalaya Road which makes it easily accessible for all to reach there. Krishna Grand Hotel serves delicious pure vegetarian food. The elegant décor of the venue makes it an ideal option for a grand wedding. Traditional and authentic are the two words that come to mind after experiencing The Krishna Grand. Banquet halls are already equipped with a built-in stage, and high quality cushioned chairs covered in white chair covers which provide a warm welcome to all guests, not to mention the splendid decor and architecture. The Krishna Grand Bengaluru, Karnataka has a spacious banquet hall that can accommodate a large gathering for your function. It also has another hall that can fit a medium-sized crowd. Hotel Krishna Grand offers complimentary changing rooms for the bride and the groom on their special day. The management takes care of everything to offer a glitch-free event. Book Krishna Grand Party Hall Banashankari for your forthcoming events to make them a memorable one. 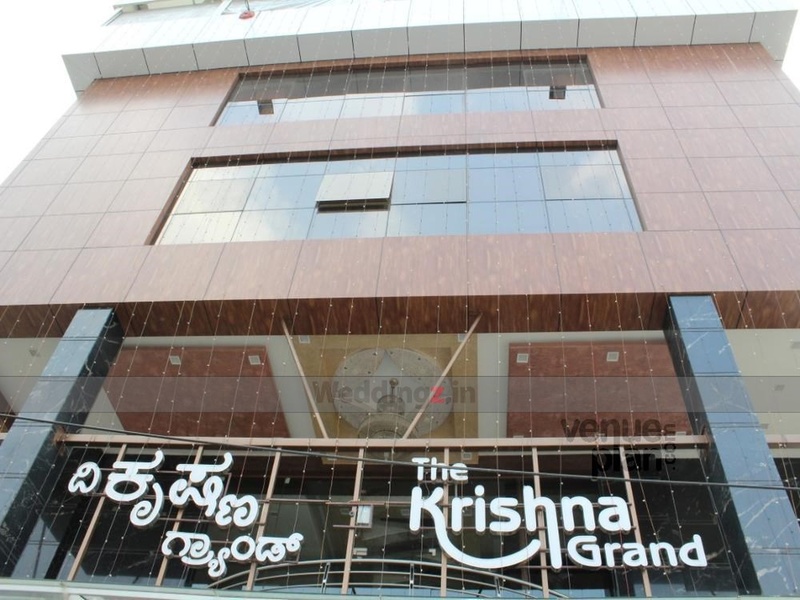 The The Krishna Grand located in Banshankari, Bangalore has Banquet Halls. Hall 1 can accommodate upto 200 guests in seating and 300 guests in floating. Hall 2 can accommodate upto 300 guests in seating and 450 guests in floating. Vegetarian food is served at this venue. Features of this wedding venues are : Food provided by the venue , Halls are air Conditioned , Ample parking , Baarat allowed , Fire crackers allowed , Hawan allowed , Decor provided by the venue , Packages starts at Rs 475 per plate for vegetarian menu and at Rs N/A for non veg menu. Decoration starts at Rs 20000.